The opening ceremony of the London Summer Olympics is “not fit” to remember the Munich Massacre of 11 Israeli athletes, says IOC chief. 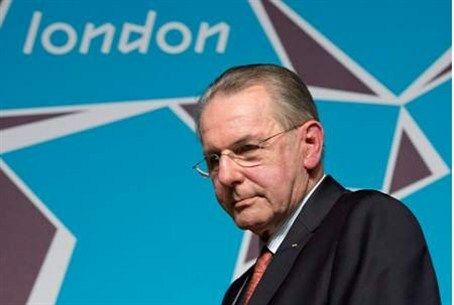 The opening ceremony of the London Summer Olympics is “not fit” to remember the Munich Massacre of 112 Israeli athletes, said International Olympic Committee (IOC) president Jacques Rogge on Saturday. “We feel that the opening ceremony is an atmosphere that is not fit to remember such a tragic incident," stated Rogge, who previously had told the widow of one of the Israeli athletes murdered in 1972 that that his “hands were tied” by the admission to the IOC of 46 Arab and Muslim members, who he said blocked the "One-Minute of Silence" campaign to honor the 11 murdered Israeli athletes. Rogge tried to soften the blow to Israelis and Jews around the world by reminding them that the IOC will visit the airfield where some Israeli team members were killed. His decision overruled appeals by leaders from Canada, Britain, Germany, the United States, including President Barack Obama, and other countries to honor the Israeli victims’ long-standing request for one minute of silence.